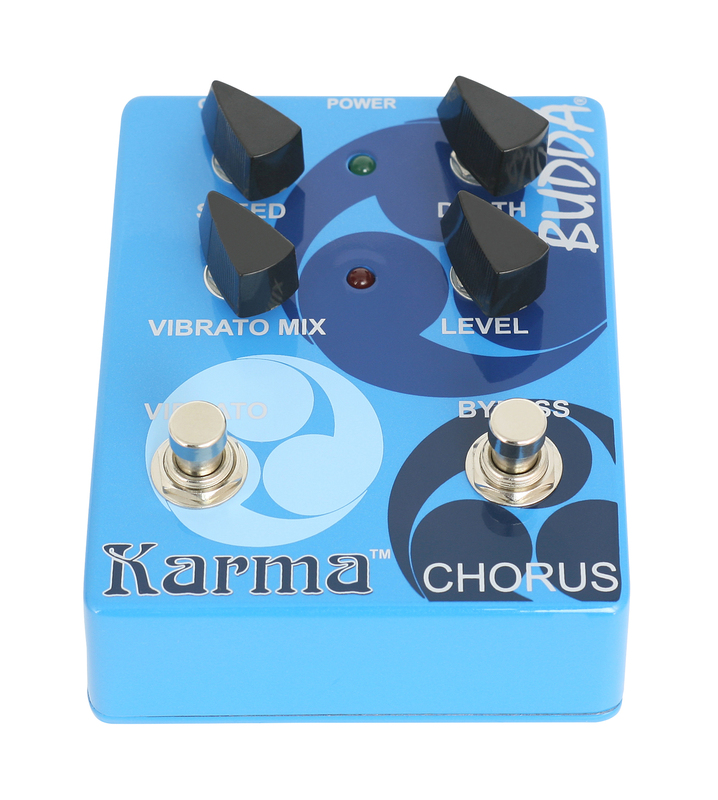 The Tone Shack demos the Budda Karma Chorus Effects Pedal. 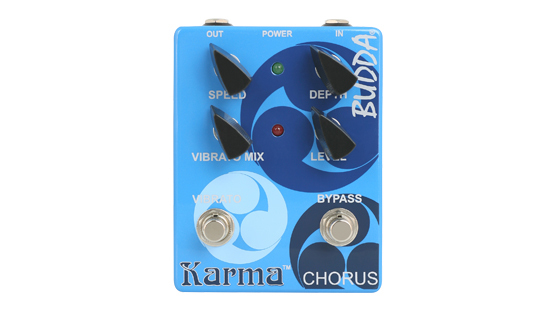 Video Description: "Another Budda pedal from the new line up here, the Karma Chorus. 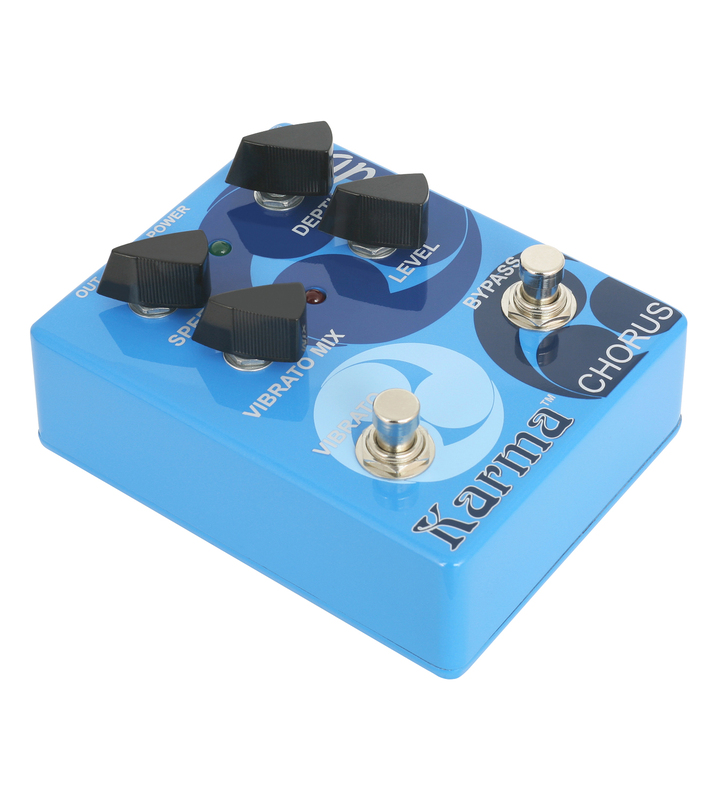 A very nice chorus as well. 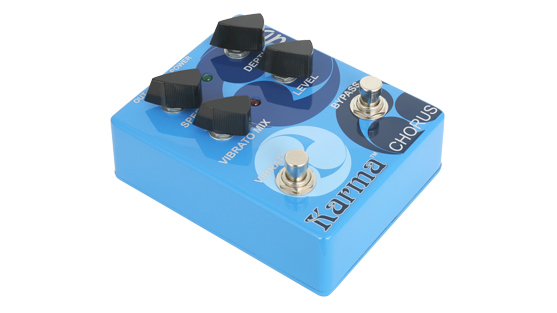 Ooh, it does vibrato too! 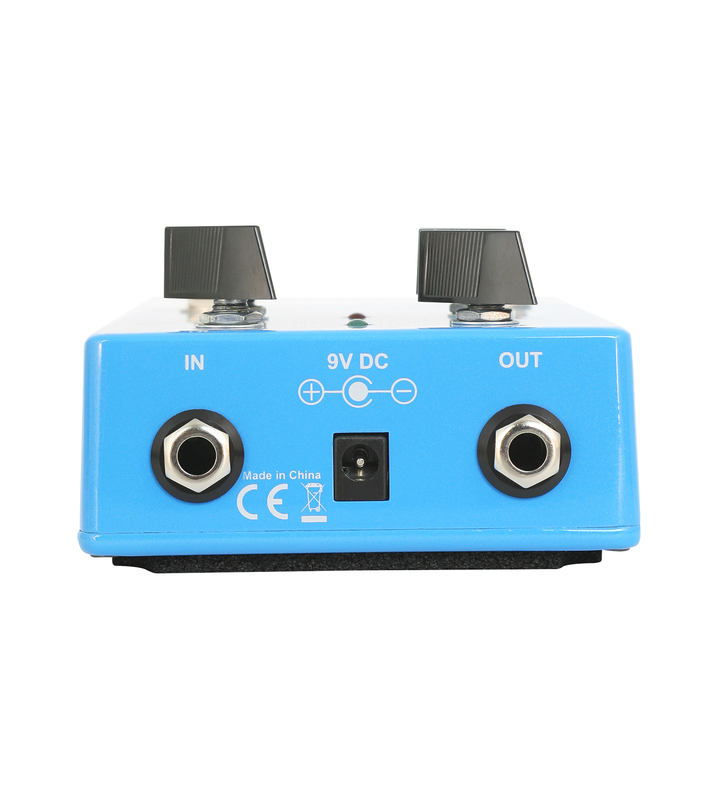 It's not over the top, it's versatile, it's true bypass and looks and sounds great." 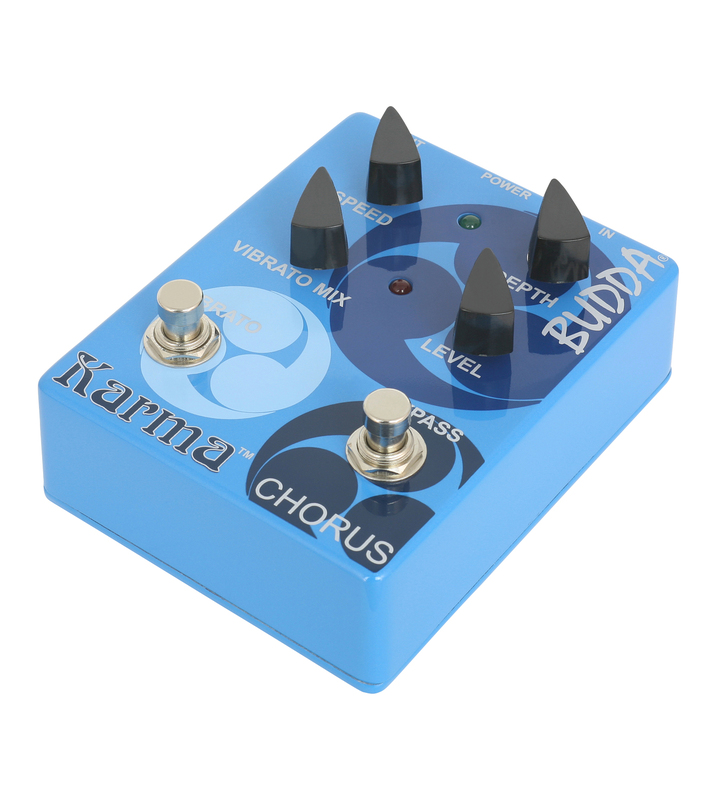 For more than 15 years, Budda Amplification has led the low wattage boutique amplifier revolution. 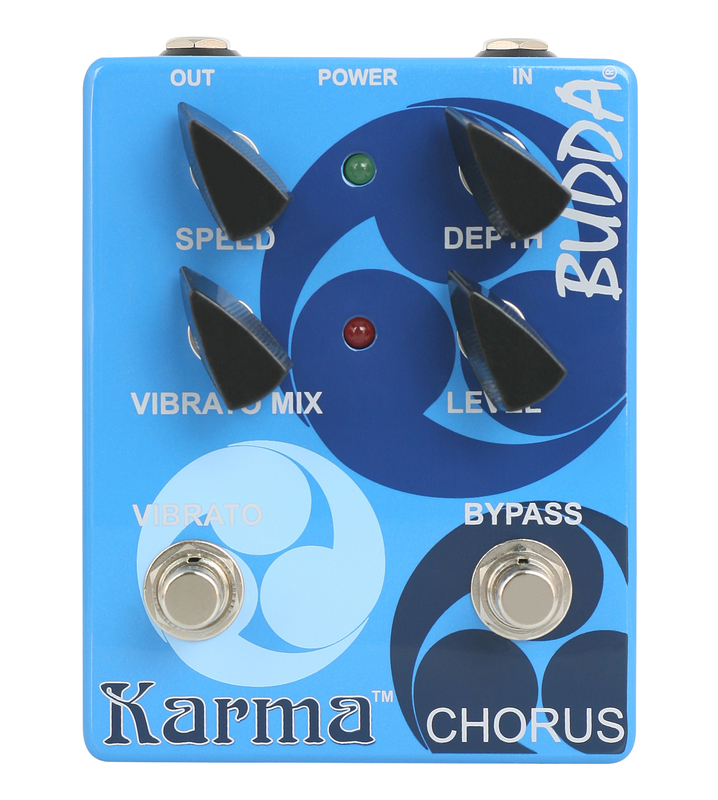 Now Budda proudly introduces the Karma Chorus pedal. 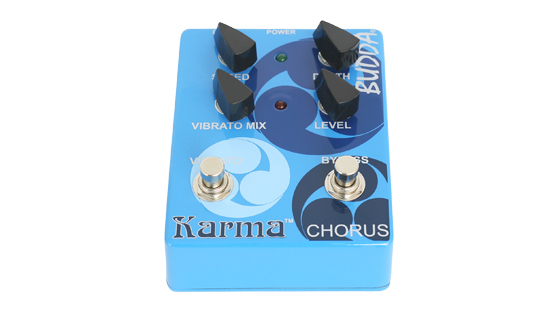 The Karma Chorus is a very unique chorus pedal that also includes a vibrato effect. 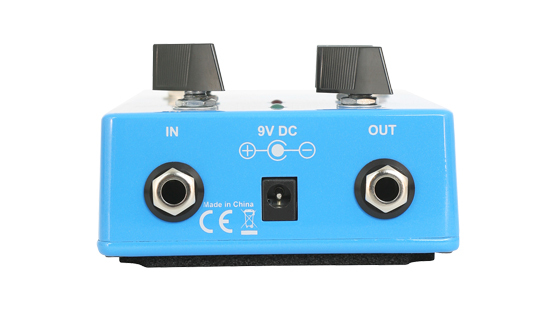 Engaging the Vibrato switch and turning the vibrato mix knob allows the user to dial from chorus (counter clockwise) to vibrato (clockwise) and any blend in between. 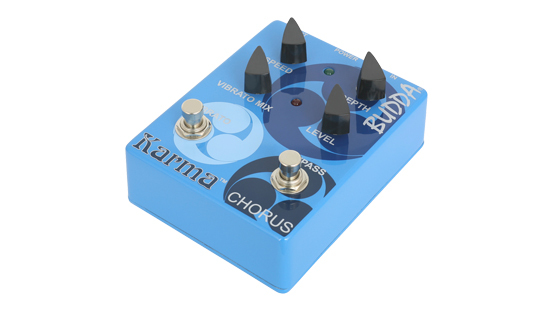 The Karma Chorus is in a heavy duty die cast metal case and is ready for your pedalboard!